Year after year patients swarm into the clinics and hospitals of Odisha with symptoms of cough, sputum, and fevers and chills. The waiting rooms of the hospitals resound with rather rhythmic sounds of cough, the clamor of which is distressing. This is a regular scenario in the hospitals of Odisha as pneumonia is a major villain here. In a report published by the National Health Profile, it has been found that the culprit of numerous deaths in Odisha was (is) Pneumonia. Pneumonia and acute respiratory infections have been one of the major reasons for emergency health threats. With a large population residing in the tribal and rural areas, one would have expected falciparum and vivax malaria or dengue to be the major killers. Surprisingly, this is not the case. Even though there is a large incidence of malaria and dengue in Odisha, it is pneumonia that is the major culprit. The serious concern of this report is the mortality rate which is almost equal to viral encephalitis. As a communicable disease, pneumonia is a serial killer which can go on a rampage. To give you a rough estimate, there had been around 20.88 lakh patients who came to the hospitals and were diagnosed with pneumonia (in which year?). This figure makes minions of dengue and malaria. The interesting fact in this report was that men are more prone to this disease when compared to women. Sadly, infants are prone to high mortalities. Fortunately, the government and the Ministry of Health and Family Welfare have taken an initiative to bring in pneumonia vaccine under the Universal Immunization Program. Though the vaccine is available in the private sector, its availability in the public healthcare system is being considered seriously. When we probed into the reasons of such high occurrence, we found out that lack of patient education and awareness, lack of hygiene, and predominant tribal and rural population were major reasons. In this blog, we would like to support the efforts of the government by spreading awareness on this disease. It is a form of acute respiratory infection that affects the lungs. It is a cause of great concern in infants as it can lead to mortality. Pneumonia is caused by large a number of pathogens. The most common pathogens are Streptococcus pneumoniae, Haemophilus influenzae type-b, respiratory syncytial virus, Mycoplasma pneumoniae and Pneumocystis jiroveci in HIV infected patients. • By airborne droplets of cough or sneeze. • Through blood in case of infants. • Close contact with patient with pneumonia. Though some forms of bacterial pneumonia are not contagious, most forms of bacterial and viral pneumonia are. The outbreaks generally occur in schools, colleges, dormitories, and other public places. Since pneumonia can also be caused due to fungi and other chemical agents, it’s imperative that preventive measures be taken. • Discoloration of lips and nails to blue. • Increased Cough and Breathlessness in 12 to 36 hrs. If you have any of these symptoms, please contact our hospital to evaluate your condition and get immediate treatment. • Having had Viral Infections recently. • Chronic Lung Diseases like COPD. • Having other illness like cerebral palsy, heart disease, liver cirrhosis, and diabetes. • Living in crowded areas. • Detailed study of patient history. Prevention is the most important aspect of management of pneumonia. It can largely reduce mortality especially in infants. • Addressing environmental issues like air pollution. • In case of an outbreak, it is advisable to wear masks. • Wash hands with a proper sanitizer. It is the responsibility of all of us to ensure that our state is rid from this deadly menace called pneumonia. With personal initiatives of nutrition, hygiene, and vaccination one can prevent pneumonia. On a broader scale, governments and NGOs need to work to spread awareness in the rural and tribal areas. 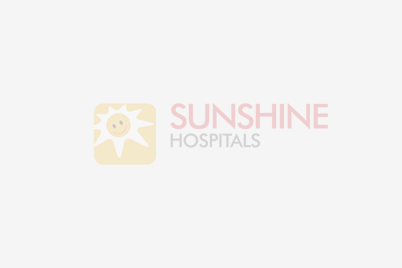 The post Healthcare for Pneumonia in Odisha appeared first on Welcome to Sunshine Hospital Bhubaneshwar.